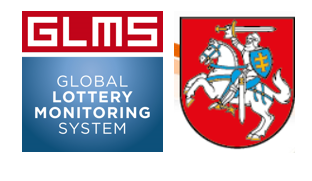 The Global Lottery Monitoring System concluded on May 28 an agreement with the Lithuanian Gaming Control Authority. The cooperation arrangement will see the exchange of information concerning any suspicious betting identified that falls within the operational scope of the Lithuanian regulatory authority.The two entities will be timely sharing key relevant information and will be also exploring other potential areas of cooperation, including initiatives in the field of education and prevention. GLMS already cooperates with a number of regulatory authorities and national platforms, as per article 13 of the Council of Europe Convention on the Manipulation of Sport Competitions.GLMS President, Ludovico Calvi states: “We are pleased to collaborate with one more regulatory authority. This partnership will further enhance our global effort to address the phenomenon of sport competition manipulations". Virginijus Dauksys, Director of the Lithuanian Gaming Control Authority adds "Both our entities share the same objectives, values and commitment to tackle this phenomenon. Thanks to the information received from the GLMS, which combines global presence with local reach, we will be able to reinforce our efforts to safeguard the integrity of sports betting operations and sport in Lithuania. We look forward to this productive partnership".